As you’ve doubtless heard, dubstep is dead in the water. Cursed with a lethal mix of commercial success, mass popularity, a huge internet presence, countless sold out raves, the scene is, as any fool can tell, totally knackered. 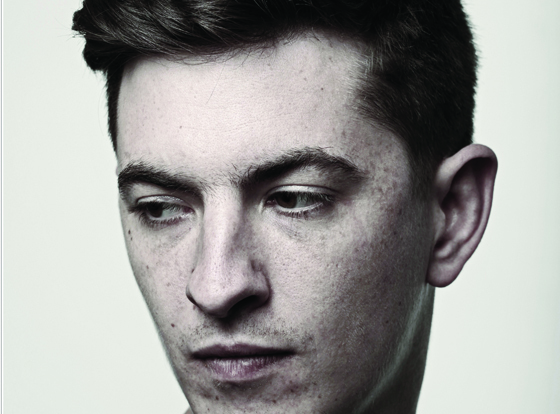 Somebody needs to pause and tell Skream this quick, because from where he’s standing, the world has never looked better. Currently on a short solo tour of the States, the man who describes himself as having “dubstep as my blood group” has been gleefully pushing the boundaries of the sound, chopping up half speed snare smashes and bully boy basslines with taut explosions of house, disco and techno, knowing full well that rather than destroying the scene he loves, he’s blowing it wide open. His latest EP, 'Skreamizm 7', is a case in point. Heavy loaded with tracks bursting with 140 bpm malevolence, it also finds time for a pulsating, skeletal collaboration with Kelis, the best R&B track Timbaland never made. Then, on 'Sticky', he throws up six minutes of gnarly, no-frills acid techno. On paper they read like sore thumbed curveballs, on the record they work as well as strobes through smoke, elevating the EP into one that Skream rightly calls his “favourite yet”. I feel like you’re probably tired of being asked about what’s happened to dubstep in England, but the scene’s definitely moved forward — on 'Skreamizm 7' you’ve got the R&B track with Kelis and the acid track, 'Sticky'. How have people reacted to the new material? “Some people don’t get it. With [the Kelis track] 'Copycat' I always get asked where the drop is! But mostly the feedback has been great. The thing is, I really like the song. I’m trying to do things different. With an artist as big as Kelis there’s a pressure to make a record aiming to be in the charts, but I know that 'Copycat' isn’t an A List record, and it was never meant to be. The track has got so much space in it, and the way I made it was how I was making tracks seven years ago, letting it breathe rather than filling up every frequency. Aesthetically, it’s kind of a mood — it’s not a peak-time track. Before you were making the dubstep tracks with Magnetic Man, people didn’t think you could get that sound into the charts, but now it’s everywhere — is that something you’d like to do again, reshape pop music to suit your new sounds? Talking of Guetta, what do you think of his use of dubstep drops in his tracks? “(Much laughter) It is what it is. It’s completely irrelevant, just completely irrelevant to me. I don’t really acknowledge it. I don’t listen to Guetta so I can’t really comment. Is that what people are getting at the Skreamizm shows? Is that not just because of how big you’ve got? To a certain extent you’ve been instrumental in making dance music pop music, do you feel comfortable being a pop star? C’mon, you’ve been A-listed four times on Radio 1! How is that not pop? Have you made it on old school kit or stayed digital? So what sort of records have been influencing you? Are you gonna release it as Skream? At the recent Skreamizm nights you’ve been playing a lot of the old school Plastic People type of tracks, are you going to stick with that dubstep base and expand on it? Do you think that’s because you’ve moved away from the Magnetic Man stuff, which, maybe because of its success, got to be a bit rigid? How has the reception been to the new sets in America? Do they get it? Have you been sharing bills with other artists pushing the genres? Massive… we’ll watch this space!